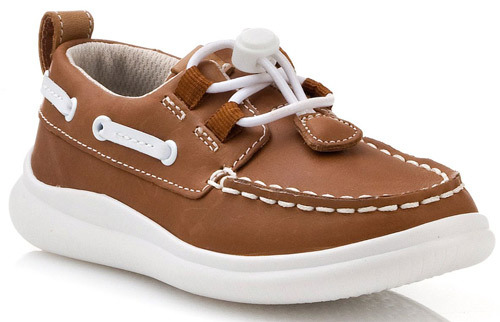 Clarks Cloud Swing – these lightweight boat shoes are not only perfect for summer, but they make a great everyday option. 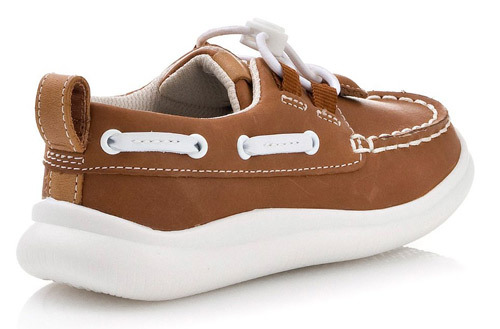 The tan leather upper is teamed with white moccasin stitching and leather details on the side, for that classic boat shoe look. 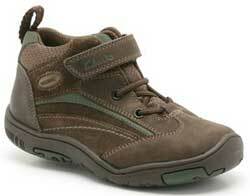 An elasticated toggle fastening allows for easy adjustability. The EVA sole aids flexibility, while Clarks Air Spring FX technology and soft fabric linings provide breathable comfort.